Today is one of the highlights of the Smart Money People calendar. 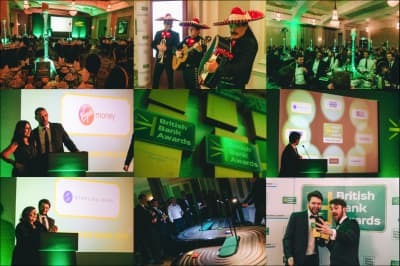 We’re announcing the Finalists of the British Bank Awards 2019. Voted for by customers, and now in their 5th year, the British Bank Awards aim to discover the best products, hottest innovations and most trusted firms and vendors within the industry. And after over 18,000 votes for more than 160 financial firms, we’re proud to announce the British Bank Awards 2019 Finalists. But today isn’t the end. Far from it. The voting to determine our Winners runs until midnight on the 10th February. 2019 is also the first year we’ve introduced 4 vendor categories, recognising that vendors often play a vital role in helping financial firms deliver better outcomes for customers. Financial firms can vote for the vendors they work with here. And here’s why this all matters. The pace of change in financial services continues to quicken. In fact, just last week we released data showing that mobile apps are now the UK’s most preferred banking channel. Set against this backdrop, the British Bank Awards act as a guide for customers looking to find the best financial providers and discover innovative firms. Since 2017, they’ve also featured in The Guardian, Sunday Express, Daily Mail, The Mirror, The Scotsman, The Daily Record, Spectator Money and Finextra, among many other publications. And 2019 looks set to become a rather special year. This year’s awards are well on the way to being the biggest ever, so remember to keep voting until the 10th February. As voting continues, two Finalists in our ‘Customer Service Champion’ & ‘Treating Customers Fairly Champion’ awards will only be announced at the awards ceremony. The British Bank Awards ceremony is on 7th March, at London’s Café de Paris. Attended by banks, building societies, FinTech firms, vendors and press, the ceremony promises to be a night to remember. If you’d like to attend the awards ceremony, then please get in touch. We’d love to hear from you, and congratulations once again to all the Finalists.